Update 22 June 2017: David Shaw, Destiny 2’s PC project lead, has clarified the recoil situation in a series of tweets. A little recoil never hurt some of the best FPS games on PC. Shaw emphasises that Destiny 2 on PC still has recoil, but it’s modified for PC in order to suit the mouse and keyboard control scheme. 1/2 Re:Recoil model on PC- it's modified heavily on PC for awesome M/KB gameplay that still feels like Destiny. But we still have recoil. He went on to point out YouTuber Parris’s PC footage as an example, which contains footage of weapons from Destiny 2. You can also watch our own video above, which shows side-by-side the difference between weapons on PC and console. Original story: Some of Destiny 2’s weapons will not have any recoil in the PC version of the game, as Bungie look for ways to optimise the experience for our platform. 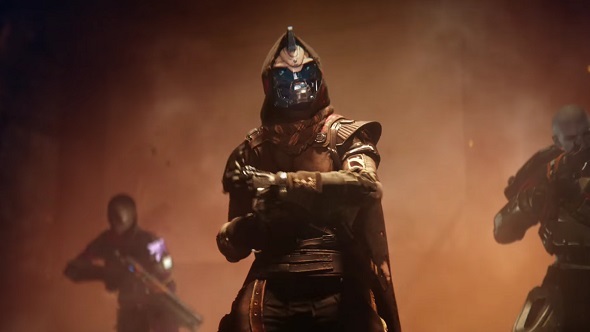 The news comes from Destiny 2 project lead Mark Noseworthy, who was speaking withFinder Australia. Asked if the precision of mouse aiming might make some challenges easier on PC than console, Noseworthy says “we’ve thought about that quite a bit.. we may look in a few places where weapons need to be handled differently, and we’ll treat them slightly differently. He was wise to do so, as we’ve reviewed our captured gameplay on both PlayStation 4 Pro and on PC. With automatic weapons like auto rifles and SMGs, it’s fairly clear that the sights are kicking on console in a way they are not on PC, but with semi-automatic scout rifles, there is some noticeable kick on PC as well. (It’s worth noting that the E3 build is still five months from launch, and the reveal build even older). So it seems the lack of recoil is limited to automatic weapons (we’ve reached out for confirmation on that), but that still carries a few implications. For one, Destiny 2’s guns have a ‘stability’ stat, which, in the original, governed the degree of recoil with each shot. Is this stat now redundant on some guns on PC? Perhaps not; you can see bullet spray in the PC footage – that is, the crosshairs expand as the LMB is held down – so perhaps stability will govern that. It’s also worth noting that the original game had a hidden stat called recoil direction, which governed the consistency of a gun’s recoil pattern. That might be gone entirely from certain PC weapons, but since it doesn’t appear on a gun’s profile, it’s less of a big deal. Anyway, we’re not sure it’s a settled question that recoil feels bad on PC. Recoil is a thing in PC shooters like Overwatch and especially Counter-Strike, where managing it is a key aspect of the challenge. 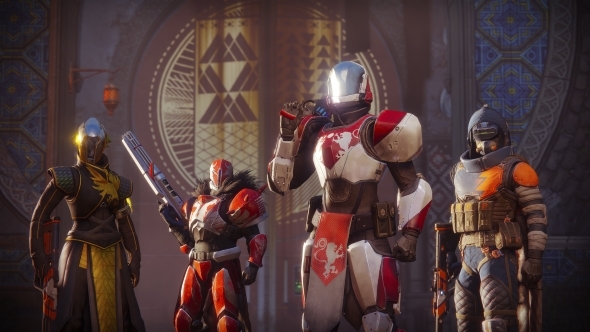 So while Bungie have added a Counter-Strike-style mode to Destiny 2’s PvP, they clearly have a different idea of what makes a great PC shooter.